When adventure calls, prep your bags with the Kate Spade New York® His and Hers Luggage Tag Set. Luggage tag made of silicone. 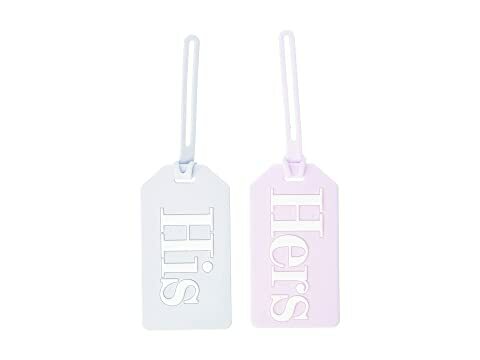 Two-pack with "His" and "Hers" in different colors. Paper insert for personal information with protective plastic covering. We can't currently find any similar items for the His and Hers Luggage Tag Set by Kate Spade New York. Sorry!